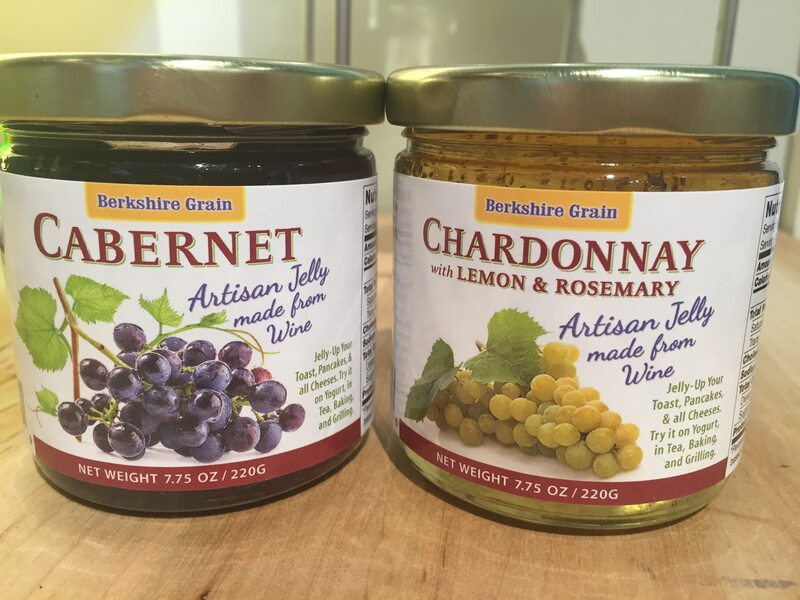 Morry met the owners of Berkshire Grain on the Mass Pike at a farmers market and immediately fell in love with these jellies. We love the local artisans that are so proud of their craft. Made from a 100% Merlot Wine that features flavor notes of cherry and blackberry along with a smooth dry finish - just like you want from a nice Merlot! If Merlot is your, his, or her favorite wine variety, then get this one for sure! 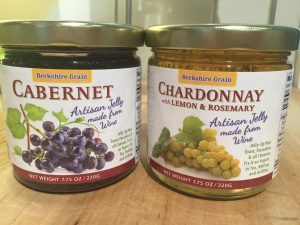 Forget that Cranberry Sauce with Turkey……..Be Bold! Made from 100% Chardonnay Wine is quite fun with a familiar aroma of peach and pineapple. We couldn’t resist playing with the flavors by adding lemon zest and fresh rosemary. The result is just delicious and invites you to cook with. Serving Suggestions: with crackers, and all cheeses….Morning Toast will never be the same! Also try brushing on your poultry and fish, before during and after cooking.